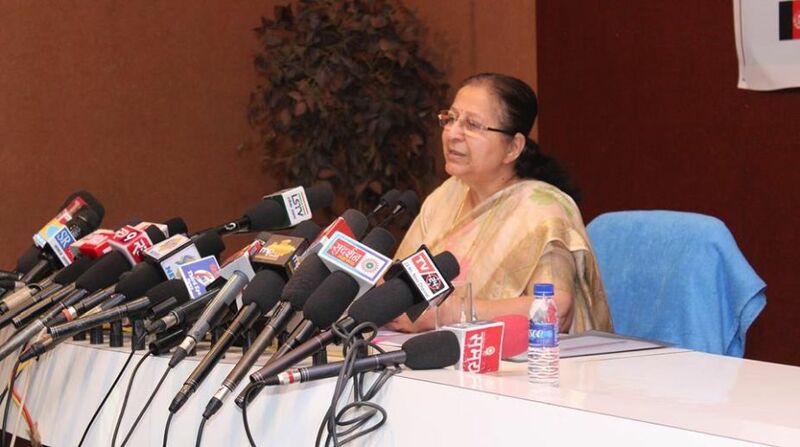 Lok Sabha Speaker Sumitra Mahajan will attend a special parliamentary session in Sri Lanka that is being convened to celebrate the 70th anniversary of the establishment of Parliament there. The Sri Lankan Parliament is also hosting the eighth conference of the association of the South Asian Association for Regional Cooperation (Saarc) Speakers and Parliamentarians. The association of the Saarc Speakers and Parliamentarians is a platform for the parliamentarians of South Asia to work together to reach the 2030 agenda for “Sustainable Development”. Mahajan is leading an Indian parliamentary delegation to the conference to be held in Colombo between October 4-6. She will deliver the lead speech on the importance and need for parliamentarians of South Asia to work together to reach the 2030 agenda for “Sustainable Development”. Speakers and delegates from the Saarc countries, including Afghanistan, Bangladesh, Bhutan, India, Nepal, Maldives, Pakistan and Sri Lanka, will attend the conference. The Saarc envisages promoting parliamentary diplomacy and open Parliament in the digital age, encourage parliamentarians’ role in preserving cultural and archaeological heritage in South Asia, support women to uplift themselves from poverty and build a better future for their communities, and attempts to counter violent extremism among the youth to prevent terrorism among other things. The Young Parliamentarians Committee meeting will be held for the first time at the event. The inaugural ceremony of the conference will be attended by Sri Lankan President Maithripala Sirisena and Sri Lankan Prime Minister Ranil Wickremsinghe.